Make sure you pick the right lawn care or landscaping company to service your property isn't an easy task. Read the reviews and testimonials we have received from your neighbors below then give us a call at 239-220-8709 for fast and professional service. McFarlane's Lawn & Landscaping is the industry leader for lawn care and landscaping in Cape Coral, Fort Myers, and North Fort Myers Florida. 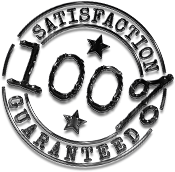 We offer a 100% service guarantee on all of the services we offer, so there is no risk for you to give us a try. Give us a call today for a free quote at 239-220-8709.